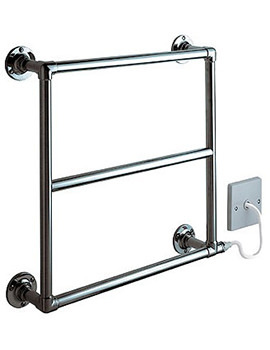 Electric heated towel rails have an electrical element inside that heats them up, rather than relying on the hot water from combi boiler or other heating system. 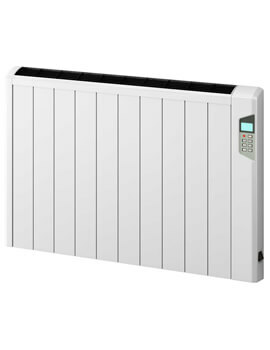 Whether you are decorating or upgrading your existing bathroom, or just simply wanting the great benefits of warm towels, these bathroom radiators come in handy where it is difficult to connect to your central heating system. With an impressive selection of high quality electric radiators to choose from, you are guaranteed to get exactly what suits the layout and design in your bathroom. We are certain you would enjoy a product from our range, which has been manufactured to the highest standard so that it lasts a lifetime. At QS Supplies, we stock a range of these types of products that give ultimate comfort in warming up your washroom and drying your towels out. We stock models from Apollo, Vogue, Hudson Reed, Home of Ultra, DQ and many more brands. This was the final set of items I bought from QS Supplies while renovating my house. As usual prompt and reliable delivery and the towel rail itself is a perfect fit for our downstairs WC. It looks and works well and even got noticed by our architect for its neat design. 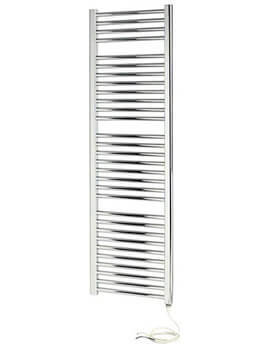 I'm very pleased with this towel rail as it is good value for money with a very simple yet stylish design which fits in with the rest of my bathroom. It was easy to install and a good quality product all round which will hopefully stand the test of time. Very impressed all round. Really classy looking, love the option of heating as per normal gas central heating or electric.